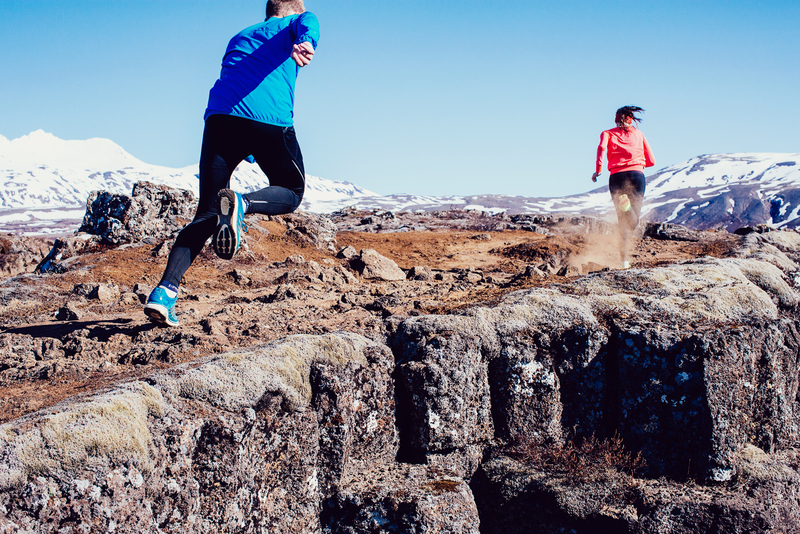 This 10K race is held every year on the 31st of December and is one of the most popular running events in Iceland. Here are five reasons why you to should take part in this festive race. Despite being cold and dark over the winter time, Iceland is currently one of the hottest holiday destinations. You don‘t need a 10K race to visit but the event is very popular and draws many participants from abroad. There are only about 200 thousand inhabitants in the greater Reykjavík area – yet Reykjavik has a lot going for it. Stylish bars and excellent restaurants with fresh fish and high quality meat are everywhere, and interesting shops with various selections of designers goods in between. The city also has many art museums and probably the best selection in the world of geothermal swimming pools. 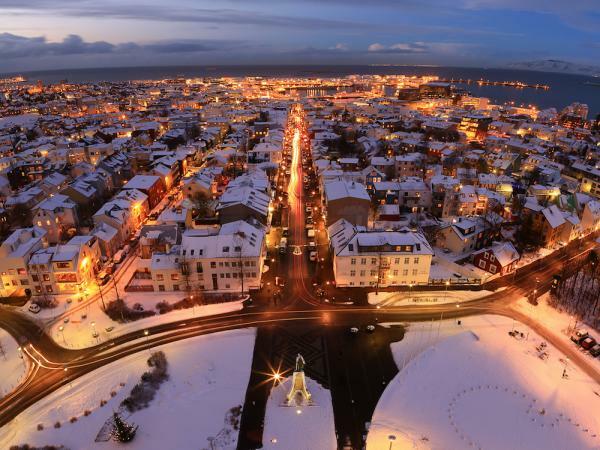 Reykjavík is also a good base for visiting many of Iceland‘s most beautiful sights. Visit the original Geysir, the ancient parliament site of Þingvellir and recently a filming location for the TV series Game of Thrones, the spectacular waterfall Gullfoss and the famous and sublime Blue Lagoon. All are within an hour or two‘s drive from the city center and further away the dramatic natural wonders are too many to mention. The scenic part we can guarantee, but wind, ice or snow might make that PB difficult to reach. However, in recent years the race weather has been mild and winter temperatures in Reykjavik are often warmer than for example New York. The route takes you along the ocean to the east, past the iconic Sólfar sculpture and towards the new harbor area. The ocean views are breathtaking and across the water, Mt.Esja and the surrounding mountains watch over the runners making their way to the Sundahöfn harbor and back. ÍR’s New Year’s Eve race starts and finishes next to the spectacular Harpa Concert Hall and Conference Centre. It has a glass-block facade that radiates and changes colors, designed by world renowned artist Olafur Eliasson. 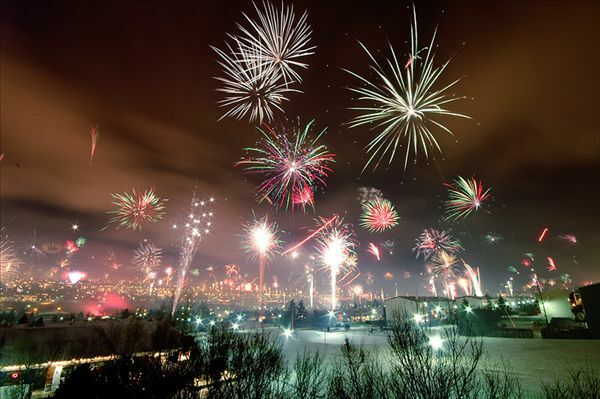 Icelanders love fireworks and New Year’s Eve massive fireworks display is the biggest of them all. Incredibly there is no official fireworks show; it is all done by the people, for the people. New Year’s Eve is also celebrated with bonfires everywhere in the county. Lighting a bonfire on New Year ’s Eve is a 200 year old tradition. In Reykjavik there are several bonfires where local people gather with their lighting sparklers to celebrate by singing, socializing and shooting off fireworks. And the elves might show up. The fireworks go on all evening, but around 11:30 pm the fireworks gain intensity and at midnight the sky is lit up with fireworks. The fireworks are mostly sold to raise funds for the civic rescue team and every Icelander considers it his duty to buy and shoot rockets into the sky! The ÍR’s New Year’s Eve race is above all a celebration and the participants are in a party mood. The race has a very festive atmosphere which is one of the reasons it is among the most popular running event in Iceland. Many runners turn up in fancy dress and fun costumes, adding more joy to the race. And there is even a special prize for the best costume. Expect to see a few Santa’s on the way! After the race there is a prize ceremony and refreshments on offer inside Harpa. There you have the perfect opportunity to chat with other friendly runners about the race, talk about the year’s accomplishments and discuss plans for a great upcoming running year! 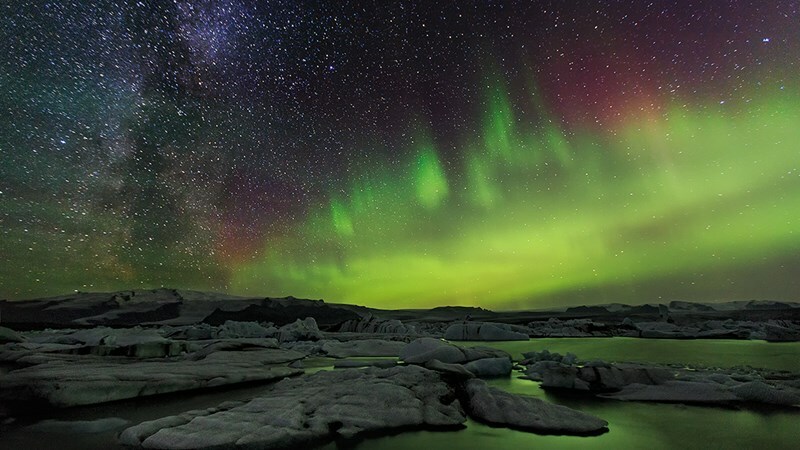 The magical northern phenomena, Aurora Borealis, is among the most popular attractions in Iceland. The dazzling lights are especially bright this year, because of an increase of solar activity. Every evening buses stream out of the capital to escape the city lights and drive to darker places where the dance of the northern lights can be enjoyed to the fullest. You can also rent a house outside the city where you can lie outside in a hot tub and watch the northern lights dance with the stars across the sky. The northern lights can however also be enjoyed in Reykjavik. Just step away from that lamppost on a cold clear night and you can often see the mystical green lights.